After extensive national and international trials, we have decided to introduce our improved Pigger cream. The new recipe contains a novel ingredient as well as an improved premix. Pigger Cream is a palatable liquid ready-to-use milk that is based on food grade dairy ingredients to ensure the highest protein quality and thus a highly digestible product. The high dry matter content (37.5%) supports dry matter feed intake, which improves functioning of the digestive system. 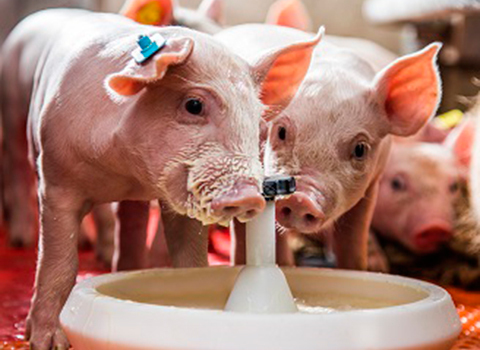 Pigger Cream is designed for all piglets, and is given directly after the colostrum in addition to the sows’ milk. There is no need to add water as the product is delivered in a liquid format which safeguards a hygienic product and guarantees ease of labour. The new composition enhances palatability and thus feed intake. Trials at our research station showed a more than 10 % higher consumption of the new Pigger Cream. This continued the entire preweaning stage. Overall it resulted in more than 0,5 kg more weight gain. Pigger Cream is packed in a Bag-in-Box: a vacuum plastic bag inside a cardboard box. The plastic bag protects the exceptional nature of the product optimally. A tap in the box allows the milk to be poured either manually or automatically. 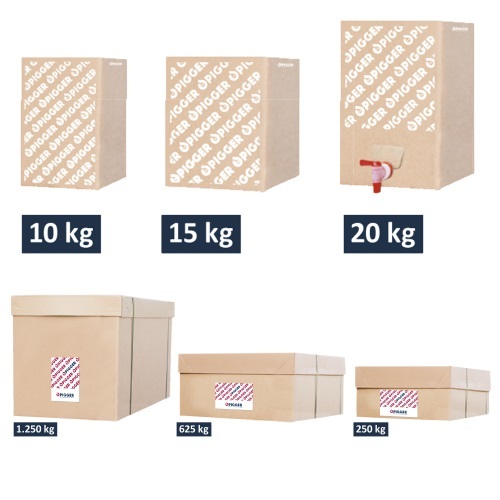 The size of the packaging varies according to the chosen application. Pigger Cream can be applied in all kinds of feed applications (through cup-systems and Pigger Feeder), as it is a natural product with a similar viscosity as milk.